How has Italy been affected by the UK voting to leave the EU? On 27th July, 2016, British Prime Minister, Theresa May, visited Rome to meet with the Italian Prime Minister, Matteo Renzi, to discuss – among other things – the UK’s planned exit from the European Union. Together they faced the press in the gardens of Villa Doria Pamphili, St. Peter’s Dome gleaming in the sunshine behind them. With 600,000 Italians living in the UK, wondering how the Brexit vote will affect them, a journalist asked Theresa May whether the rights of Italians living in the UK would be protected. Uncertainty in the financial markets is already affecting Italy, and the UK’s eventual departure from the EU also has the potential to harm Italy further. Renzi has made it clear that he wants the UK to set out a “clear timeline” of its formal departure from the EU. 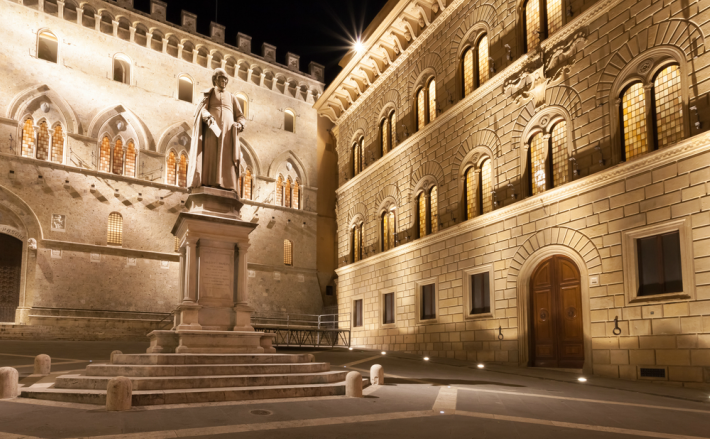 The oldest bank in the world, Banca Monte dei Paschi di Siena. Renzi’s biggest concerns at the moment are a crisis in the Italian banks and a referendum vote on constitutional reform. Following the global financial crisis of 2008 and the recession that followed, businesses and households found it difficult to repay their debts to the banks. These banks are now swamped with non-performing loans (NPLs) which have grown to €360 billion, more than half of which are now considered to be uncollectable. This is a problem the Government really should have tackled earlier, because now new EU “bail-in” rules prevent them from bailing out the banks using taxpayers’ money. This has put Renzi in a very difficult position as whatever he does it will affect ordinary people – the very people he wants to vote for him in the next election in 2018, and to support his changes to the Constitution this autumn. To go against the European Union rules would also undermine the EU. Having said that he would resign if the referendum vote didn’t go his way, anti-establishment voters may use the referendum to demonstrate their discontent, which could see Renzi in a similar position to David Cameron. Renzi has gambled his job on a referendum for Constitutional Reform. Estate agents in Italy reported a downturn in enquiries from the UK immediately following the EU referendum. Some potential house buyers voiced concerns about the exchange rate and decided to wait a while, to see what effect the result would have. But, now that everyone can see that very little has changed and is unlikely to for a couple of years, confidence is growing again. 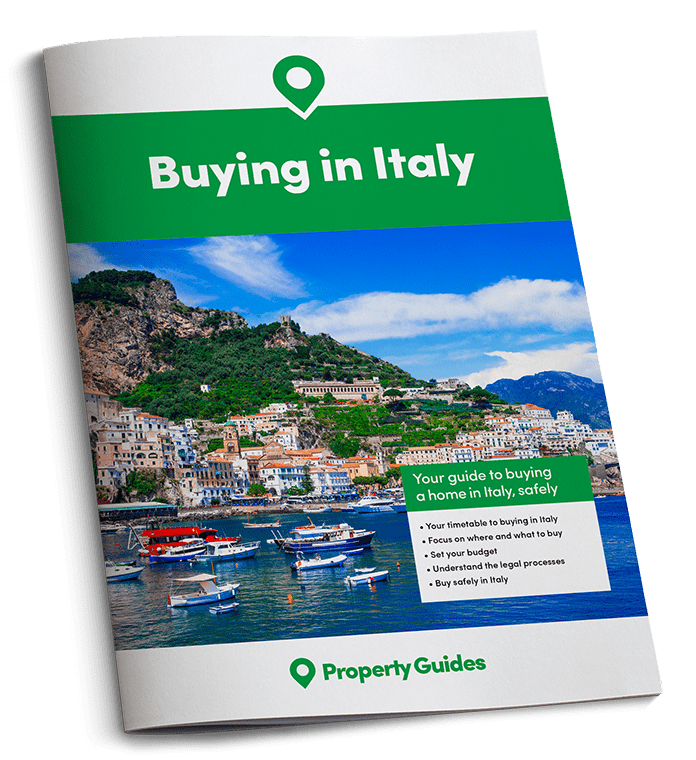 Many who had already decided to buy a property in Italy have been going ahead with their house purchases and some have even commented that they want to settle in Italy before Brexit actually happens. British visitors may be surprised and puzzled to see the Union Jack flying over Ligurian beaches this summer. 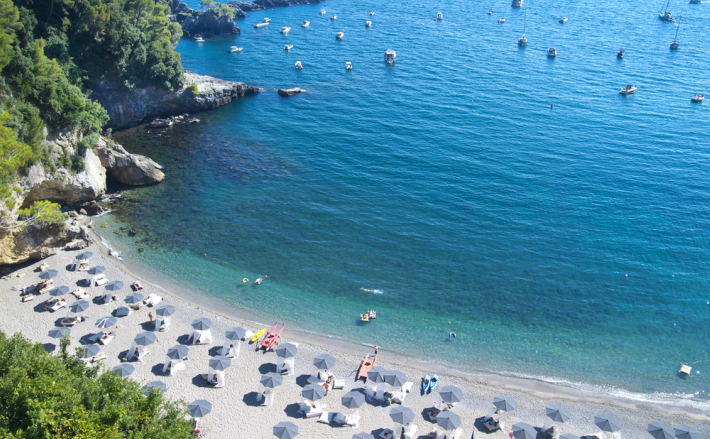 What may appear to be a warm welcome to the British is actually a symbol of protest by around 1,500 operators of bathing establishments along the beaches of Liguria. The protest is against the judgement of the Court of Justice of the European Union, which has decided it is unlawful that they receive automatic extensions to their concessions from the Italian Government. Traditionally, families have held concessions on private Italian beaches that have been passed down through the generations, with their licences renewed for as long as they want. But the EU has now insisted that businesses in other member states must have an equal opportunity to run these businesses. This led to a symbolic and peaceful protest by the seaside operators, who hoisted the flags as a symbol of closeness to the people of the UK and their decision to leave the EU. It is designed to send a message to the EU that they must change their ways and stop meddling – a view shared by many Italians. Although the majority want to stay in the EU, they do want to see it reformed.